Surf's Up with Surf Blue Wrinkle! To say goodbye to the summer and enjoy your last few weeks of beach-worthy weather, surf’s up with surf blue! TCI brings a broad spectrum of colors to the table, giving you many selections to choose from, even unique and rare hues that can be hard to find. This month, we’re featuring Surf Blue Wrinkle, a perfect color for any of your powder coating needs, including but not limited to patio furniture, bikes, exercise equipment, playground equipment, and aftermarket automotive parts. 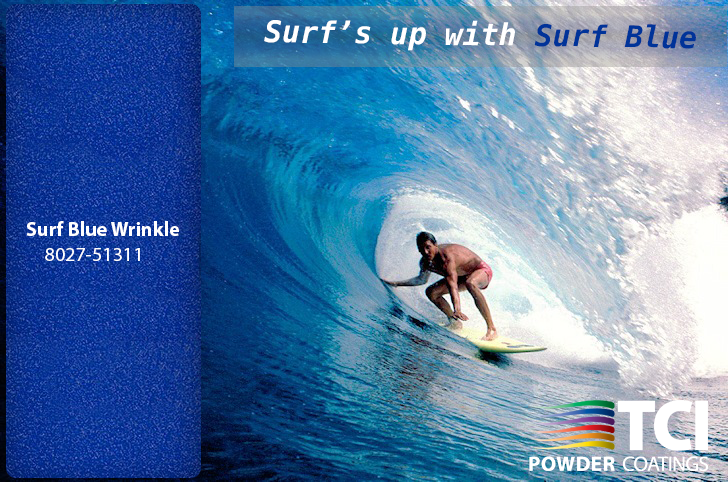 Give your products a cool feel with a touch of shine with TCI’s surf blue wrinkle from the TruWrinkle line of textured powders. They say a day at the beach can restore the soul- and a durable coating like this one can restore any product’s gloss and radiance. 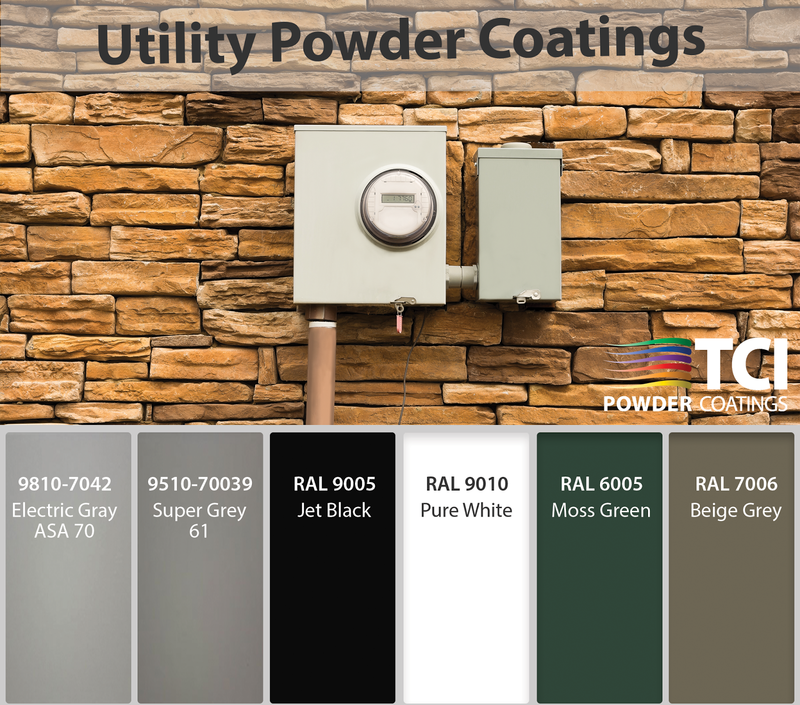 For more information on TCI Powder Coatings’ TruWrinkle line of textured powder coatings, visit our website here. This year, the Jeep brand achieved an important milestone: its 75th anniversary. 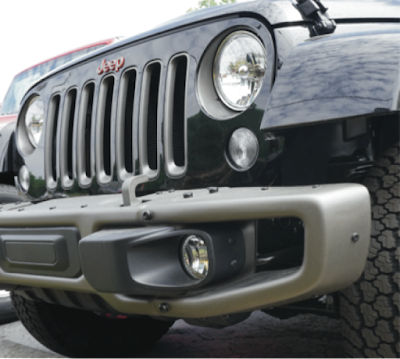 To commemorate this landmark, the Jeep marketing team rolled out Anniversary Special Edition models of several vehicles. Exclusive details included distinct vehicle colors and trim packages on the 2016 Jeep® Wrangler Unlimited fleet. One of these trim packages is a coated in a specialized bronze color. This trim along with off-road bumpers is painted and protected with TCI Powder Coatings. TCI Powder Coatings collaborated with Chrysler to develop a coating that would meet styling expectations as well as the manufacturing process demands of Flex-N-Gate and Powder Cote II. 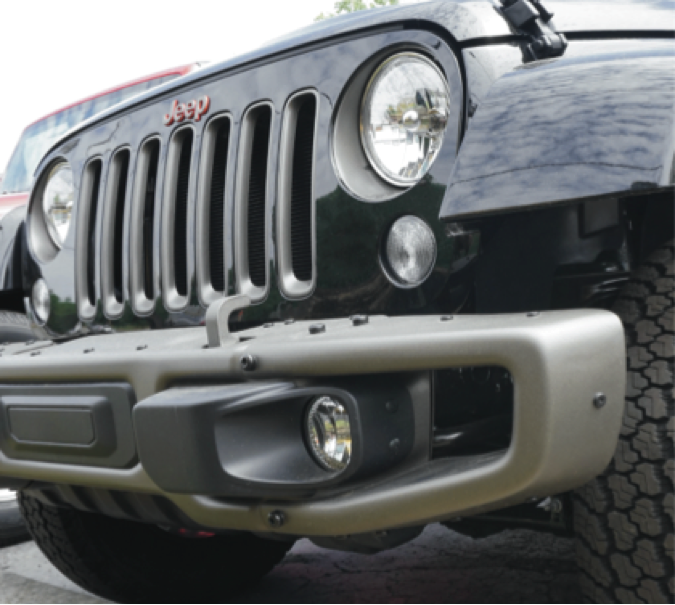 Flex-N-Gate, a leading manufacturer of large stamped metal and welded components, is a Tier 1 supplier for the automotive industry and provides the bumper used on the Rubicon Jeep in conjunction with Powder Cote II, a leading powder coating finisher that applies the bumper coating. TCI is thrilled with the results of everyone’s hard work on this important endeavor. Read the full case study to find out more about this win here. For more information on the story, click here. Are your utilities coated with durable, protective coatings? TCI Powder Coatings offers a wide variety of coating options specially designed to meet your needs. Utility boxes are used to house electrical connections. They serve to protect from tampering and to conceal these connections. At TCI we know that it is extremely important that these boxes are sealed and protected in any setting, and it is necessary to coat them to the best standards possible. Contact a TCI representative today to speak about coatings for your shop’s needs. To find out more about these coatings, visit the TCI website here. We would like to congratulate our new corrosion technician, Jennifer Jackson! As a corrosion tech, Jennifer will put together and communicate corrosion reports as well as maintain salt booths. In her new position, Jennifer hopes to contribute innovative ideas while learning and growing with the company. As a driven and motivated worker, Jennifer prides herself on her leadership skills and outstanding communication. Outside of work, Jennifer’s hobbies include bass fishing and spending time with her family. Please join us in welcoming Jennifer to the TCI family. We are proud and excited to announce the promotion of Brad DeBauge to Director of Manufacturing! In 2014, Brad joined our team as Director of Engineering and Maintenance. Since then, he has led us through multiple major facilities projects and improved the organization of our maintenance effort. Prior to joining the TCI team, Brad spent nine years in many roles with the Valspar Corporation. Additionally, Brad holds bachelor’s degrees in accounting and mathematics as well as a master’s degree in business administration. Before immersing himself into the powder coating world, Brad was a production manager and sales representative for an industrial wood products business. He also previously taught high school mathematics. He and his wife, Kerry, reside in Schley County with their two sons and several dogs. Please join us in congratulating Brad DeBauge on his promotion! We are lucky to have him as a leader in manufacturing. 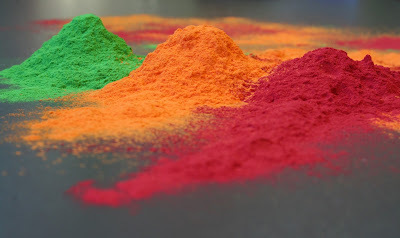 You may already be a powder coater or are considering applying it to your products, yet maybe you need that last push or need to see additional facts to fully commit to switching over. We’ve created this new blog series to capture the many capabilities of powder coating, from environmental benefits to performance benefits, and everything in between. We hope that you enjoy the series and that it helps you to make the right decision, reaffirms your use, or simply re-informs you of the many benefits. 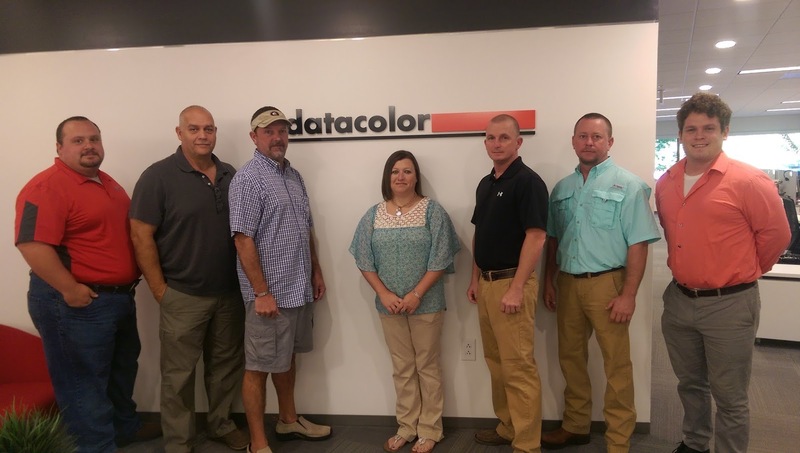 TCI Powder Coatings is proud to announce that we’ve raised the bar on color matching. As a premium powder-coating supplier, TCI is committed to investing whatever it takes to provide the highest quality products and services to our clients. That’s why labs in Americus, Ellaville Production facilities, Jacksonville Research Center, and our Canadian facility have added the “Best-in-Class” spectrophotometer and color software from the Datacolor® family. With Datacolor® 800, TCI can now proudly boast of owning of the only true close tolerance spectrophotometer on the market, offering quantifiable improvement in productivity throughput. The technology helps standardize processes and guarantee color integrity throughout the supply chain. However, the software and equipment is only part of the equation to providing premium brand quality powders. TCI recognizes that it takes great training to work with the best machinery and software. That’s why TCI sent Clint Hardy, Rodney Usry, Anthony Wall, Rebecca Hall, Steve James, Doug Gladden, Jon Schmidt (pictured below) to a 3-day training for the new system. The employees attended the “Essentials of Color Management” training at Datacolor® Headquarters in Lawrenceville, NJ the week of August 24, 2016. With a total of five new instruments in each facility and freshly trained workers, TCI is ready to take an already exceptional product and service to another level.